This group has a unique musical vision that absorbs and reflects all kinds of music while retaining an enviable individualism and high quality craftsmanship that can span from quiet intimacy to searing intensity. Diverse musical backgrounds, which include jazz, modern classical, world music, and free improvisation. They have been working on original compositions as well as crafting beautiful and haunting improvisations. Their music blurs the boundaries between notated music and free improvisation; the unique sonic landscapes that result are grounded in history, while pushing at the boundaries of modern improvised music. 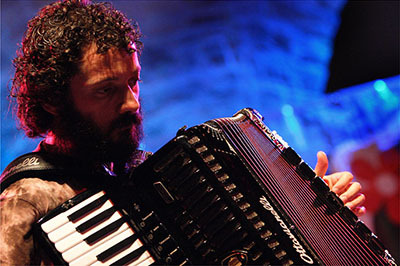 Considered one of the most interesting and innovative accordion players in Europe. Simone Zanchini’s musical research passes through the borders of contemporary music, acoustic and electronic sound experiment, and other contaminations mixed together. The result is a very special and personal approach with the material of improvisation. Eclectic artist, performing an intensive concert schedule with groups of various musical styles including improvisation, contemporary jazz, and classical music. He has performed in numerous Italian festivals: Clusone Jazz, Umbria Jazz, Tivoli Jazz, Berchidda Jazz, Sant’Anna Arresi, Barga Jazz, Mara Jazz, Vignola Jazz, Ravenna Festival, Rossini Opera Festival, Teggiano Jazz… and in many important international festivals in France, Austria, Germany, England, Holland, Sweden, Denmark, Finland, Slovenia, Croatia, Macedonia, Spain, England, Tunisia, Lebanon, India, Russia and Japan. 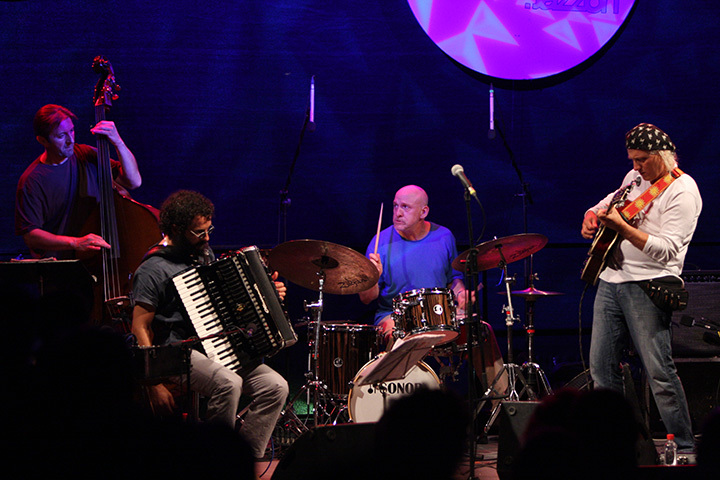 Simone has collaborated with many musicians of international fame: Thomas Clausen, Gianluigi Trovesi, Javier Girotto, Paolo Fresu, Marco Tamburini, Massimo Manzi, Bruno Tommaso, Ettore Fioravanti, Mario Marzi, Michele Rabbia, Giovanni Maier, Tamara Obrovac, Krunoslav Levacic, Vasko Atanasovski, Antonello Salis, Han Bennink, Art Van Damme. He is regularly performing with many groups of different kinds of music. Since 1999 Simone is accordion player in the ‘Ensemble Strumentale Scaligero’ of the Theatre LA SCALA in Milano, with this group he make tours everywhere around the world. Recently he recorded two new CDs: From Art to Marocco and Better Alone. With From Art to Marocco Jazz Quintet, Simone revisits, in personal style, two of the most important living accordion players: Art Van Damme and Frank Marocco, respecting always that characteristic sound created using accordion and vibraphone together, and following a kind of jazz-language usually not much played with this instrument in Europe. Better Alone is a solo-project in which he experiences the sonoric possibilities of his instrument through the use of a particular MIDI accordion, live electronics and laptop. 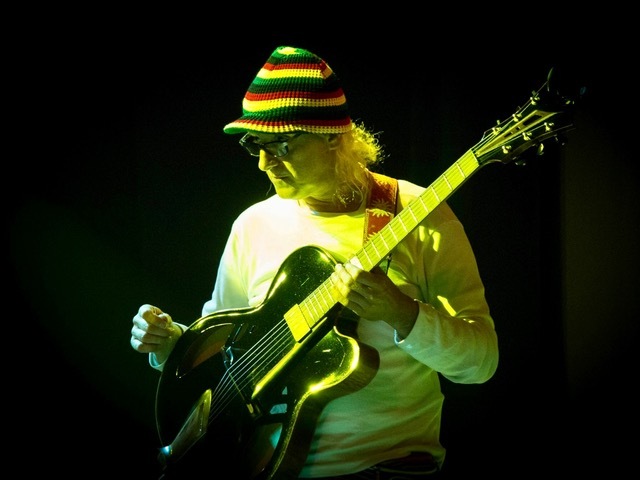 Ratko Zjaca is considered a very gifted stylist, assumes many roles in his macrocosm of music: contemporary guitarist, composer, performer and educator. His unique musical vision absorbs and reflects all kinds of music while retaining an enviable individualism and high quality craftsmanship that can span from quiet intimacy to searing intensity. Diverse musical backgrounds, which include jazz, world music, and free improvisation. He has been working on original compositions as well as crafting beautiful and haunting improvisations. He invented a unique style that is fearless, ambitious and volatile. He studied and graduated from Zagreb University. In his drive for the necessary knowledge and the enormous need for studies he sought his refuge in The Netherlands at the Rotterdam Conservatory. There he could get teachings by well-known masters. He also followed masterclasses and personal courses with Joe Pass, Jim Hall, Pat Metheny, Mike Stern, Bob Brookmayer, John Abercrombie, Mick Goodrick, Hariprasad Chaurasia and others. After completing his study at the Rotterdam Conservatory where he studied jazz guitar, composition and Indian classical music, he also studied at New York University School of Music. He started to work with own group and with American trumpet veteran Benny Bailey group. Ratko participated at many international festivals and has been booked for the major club dates at the European and American scene. Ratko has constantly made major efforts to enrich his experience with appearances and recordings. He was also performing and recording with Benny Bailey, Gary Peacock, Reggie Workman, John Patitucci, Al Foster, Jimmy Cobb, Steve Gadd, Antonio Sanchez, John Riley, Alvin Queen, Ron Carter, Randy Brecker, Miroslav Vitous, Jeff Tain Watts, Adam Nussbaum, Kirk Lightsey, Shawnn Monteiro, Denise Jannah etc. 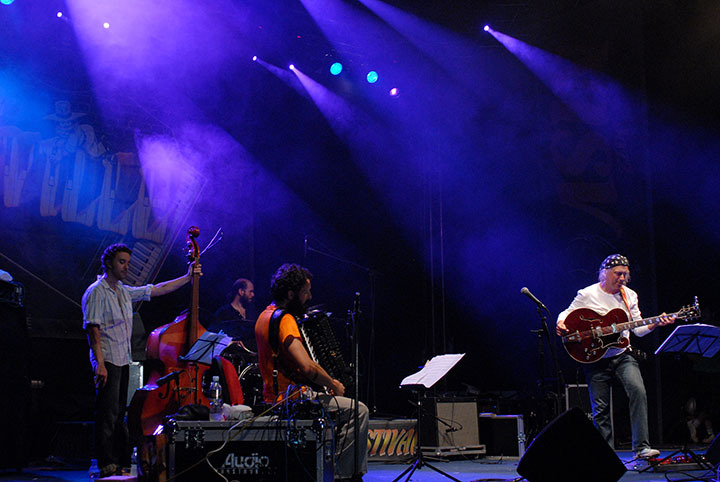 Ratko started a new quartet with the legendary bass player and composer Miroslav Vitous. He released a quartet recording, Crossing The Border, in New York City with John Patitucci, Al Foster and Stan Mitrovic, with all original compisitions of all members of the quartet. He released a record, Continental Talk, with John Patitucci, Steve Gadd, Randy Brecker and Stan Mitrovic. Ratko’s latest release is a record with Simone Zanchini, Adam Nussbaum and Martin Gjakonovski called The Way We Talk. The CD of the ZZ Quartet, “Beyond The Lines”, on In+Out Records was released in May 2013. 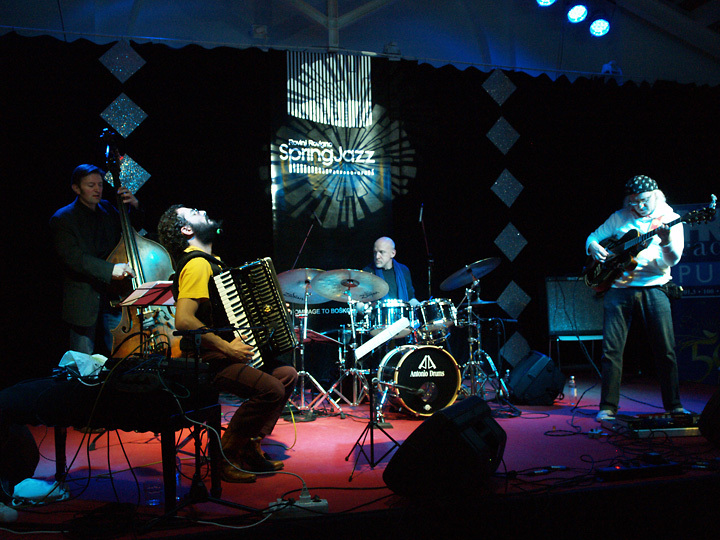 A new CD “Don’t Try This Anywhere” was released in April 2016 – Ratko with Simone Zanchini, Adam Nussbaum, John Patitucci and Stefano Bedetti. A new CD “Life on Earth” was released in January 2018 – Ratko with Antonio Sanchez, Stefano Bedetti and Renato Chicco. Ratko endorses Godin Guitars and uses CP-1A pickups for acoustic guitar from Carlos Juan. Nussbaum grew up in Norwalk, Connecticut and started to play drums at age 12 after studying piano for 5 years, also playing bass and saxophone as a teenager. He moved to New York City in 1975 to attend The Davis Center for Performing Arts at City College. While there he began working with Albert Dailey, Monty Waters, Joe Lee Wilson, Sheila Jordan and he played with Sonny Rollins in 1977 in Milwaukee. In 1978 he joined Dave Liebman’s quintet and did his first European tour with John Scofield. During the early eighties he continued working with John Scofield in a celebrated trio with Steve Swallow. In 1983 he become a member of Gil Evans Orchestra and played with Stan Getz as well. He later joined Eliane Elias/Randy Brecker Quartet, Gary Burton, and Toots Thielemans. In 1987 he began touring with the Michael Brecker Quintet. In 1988 they recorded the Grammy winning “Don’t Try This At Home” During 1992 he was part of the Carla Bley Big Band and that same year John Abercrombie hired him to complete his organ trio. 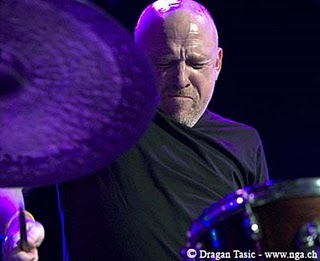 A very versatile drummer who generally plays in advanced settings, Adam Nussbaum is considered a major asset no matter where he appears and one of the finest jazz drummers today. Born in Skopje, Macedonia in a family of Jazz musicians. His father was the founder and conductor of the Macedonian Jazz Radio Big Band and his mother a jazz vocalist. Martin started playing classical double-bass at the age of 14, but soon his passion for jazz awoke and resulted with the founding of his first band, Trio Spato. The opening door to the international jazz scene was a jazz workshop with the Coltrane bassplayer Reggie Workman in Groznjan, Croatia (1990). 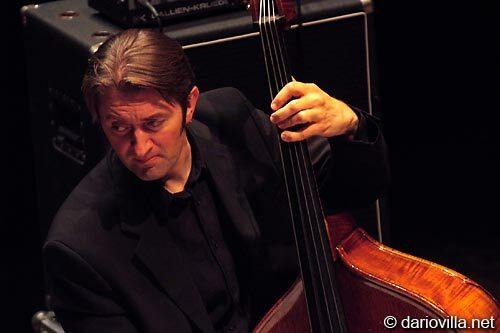 In 1991 he moved to Cologne, Germany studying jazz bass at the Music Academy of Cologne. He also learned from other great bassplayers such as Arild Andersen, John Clayton, Mike Richmond and Eddie Gomez. In the years following his education he became one of the busiest and most versatile bassists in Germany playing with such musicians as: Dusko Goykovich, Paul Shigihara, Ferenc Snetberger, David Friedman, Lee Konitz, Atilla Zoller, Don Friedman, Pete Yellin, Matt Wilson, Tony Lakatos, Ingrid Jensen, Andy Middleton, Kenny Wheeler, Kenny Werner, Charlie Mariano, Greg Hopkins, Don Menza etc. 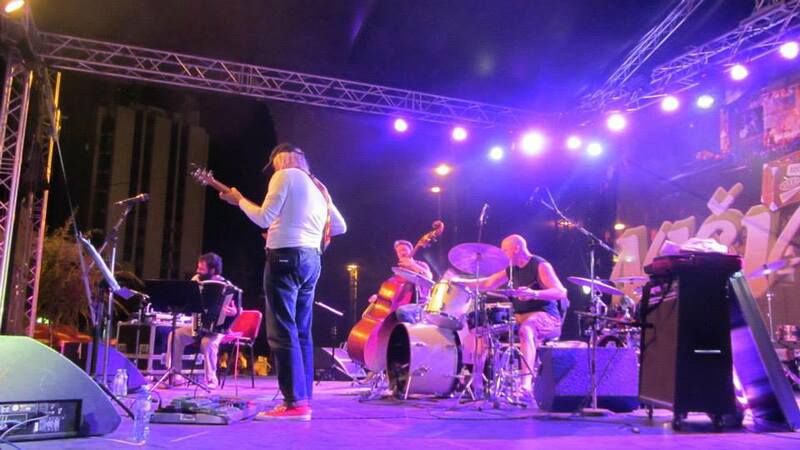 In the last 10 years he worked and is still playing with Michael Sagmeister Trio, Dusko Goykovich Quintett, Nicolas Simion Group, Antonio Fara’ Trio (feat. Bob Berg, Sonny Fortune, Rick Margitza, Gene Jackson), Lynne Arriale Trio (feat. Benny Golson, Steve Davis), Paul Kuhn Trio (feat. Toots Thielemans, Ack Van Rooyen, Jiggs Whigham), Bojan Z Expatriots, Paul Shigihara Group (feat. Mokhtar Samba), Frankfurt Jazz Trio and many others. He has recorded more than 80 jazz and world music CDs.